Firefighters have worked through the afternoon to control a wildland fire in northern Fort Pierce. 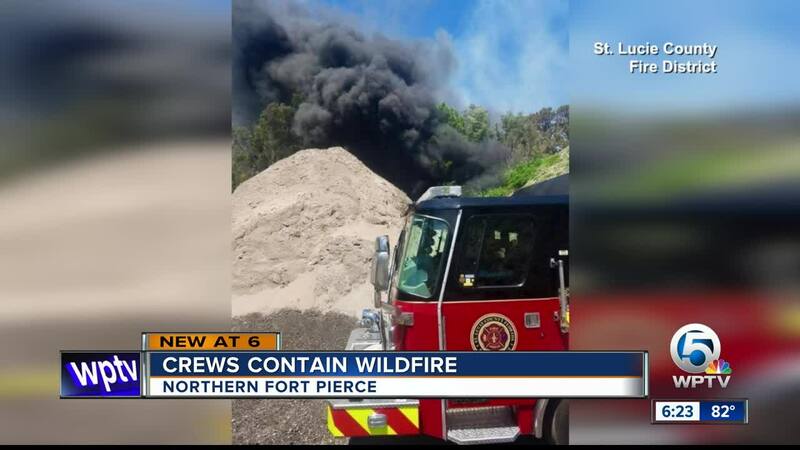 FORT PIERCE, Fla. -- Firefighters have worked through the afternoon to control a wildland fire in northern Fort Pierce. Crews with St. Lucie County Fire District have been battling the blaze since 11:45 a.m.
Five homes were threatened but were spared due to the actions of the firefighters. The fire is contained but crews are still at the scene.